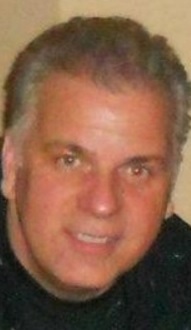 I believe it is time for Peter Ianniello to retire or be fired. Mr. Ianniello, a cabaret singer wanna be, may pay dearly for his office error., sending out via email 90 pages with the names, social security numbers, and other private information of 400 paraprofessionals who are currently matriculated at various colleges in the New York City area . All the people whose private information was sent out are students in a Career Training Program (CTP) to help them improve their skills. NYC Department of Education Human Resources Manager Peter Ianniello Sent 400 Names, Social Security Numbers and Other Private Information Via Email on February 15, 2017 to each of the 400 paraprofessionals listed. We know that the NYC Department of Education is not very good at keeping private information, private. The way they treat any information is random. If they decide they want to keep something secret, they will. If someone files a Freedom of Information request for public records at a school, like a personnel file, number of students who graduate, etc., the requester of this information will most probably wait two or more years to get the data. Personal whims matter, evidently. On February 18, 2017, I received a call from a paraprofessional in the DOE Career Training Program at 65 Court Street in Brooklyn. 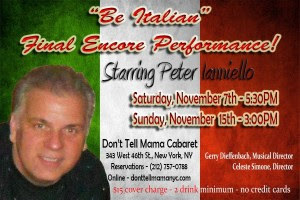 Peter Ianniello is in charge, a man who really wants to be a cabaret singer. Paraprofessionals who work for the Department must, according to new rules in place since September 2016, matriculate into a degree bearing program after completing 60 credits as part of the Career Training Program. (CTP). The problem is, a para told me, the rules keep changing all the time, and many are disgusted. Paras must do 100 hours in 5 years, and pay $30 for each two hours., I was told. This para was very upset that she and 400 other paras had received an email with 90 pages of names, social security numbers, matriculation information with course work, money paid, and schools at which the matriculation occurred. Please see attached correspondence and respond as indicated. Peter ianniello realized the huge mistake and sent out a letter telling the 400 paras to kindly delete the email containing personal information, and "sorry that this may have caused you some concern". He added that he has set up all 400 paras with Legal Shield to protect their identities. Do you hear desperation? I do. Paras that believed him, called Legal Shield and were told that no information has been received and they should call some other time. Adrienne Gilyard also sent an email urging everyone to delete the email sent in error. Then there are the hiring practices at the Department....you have to know someone, or have to prove your worth by keeping any wrong-doing secret. Managers and principals are required to keep their schools and underlings "doing well". failure means your job. Yet hiring practices often use the same managers, even if they have proven themselves to be unethical or worse. Take NYC Chancellor Carmen Farina, for instance. In 2000 I asked her where the $225,000 was that the children at PS 6 (where my youngest daughter was a student) and PS 198 were supposed to get from the Annenberg Challenge For the Arts. She verbally attacked me (I wish I had taped it!) , I reported her, and she was removed as principal in 2001. She then became Superintendent of District 15 in Brooklyn, where she made people angry, then she was moved to Deputy Chancellor of the Department, when she was exposed as part of two scandals. She was told to retire or be fired. She retired. Then Bill de Blasio, NYC Mayor, brought her back and appointed her Chancellor. What the heck? So, most administrators and managers fudge the data. A class has bad grades? After the teacher is sent to a rubber room on his/her way to a 3020-a trial, grades are changed in order to reflect "improvement" and/or excellent work. The people who know that this goes on but say nothing, stay in their jobs, and get promoted up the ladder. They are the "in" crowd. Until, that is, they whisper the truth to someone, and then they are whisked away to a rubber room. That is exactly where Peter Ianniello belongs. The paras are preparing Notices of Claim. Stay tuned, DOE!